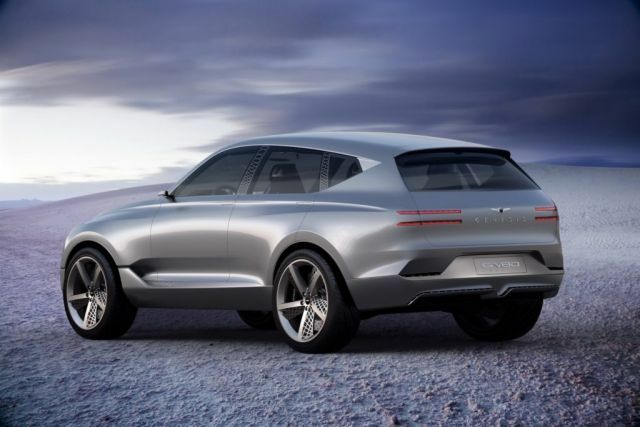 The upcoming 2020 Genesis GV80 will be the luxury brand’s first-ever SUV build. 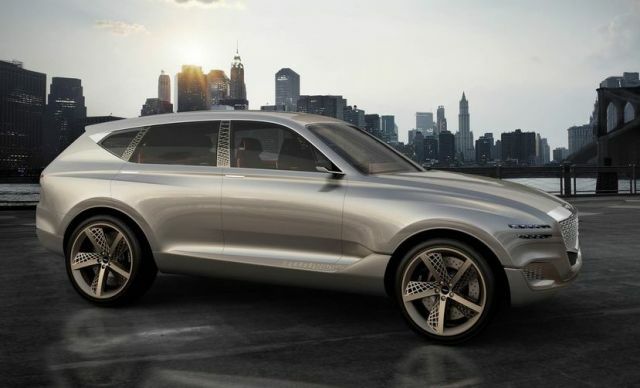 After the great success with the model G90 sedan that was launched in late 2015 and the G70 that is the North American car of the year, the manufacturer will launch the first ever SUV model. 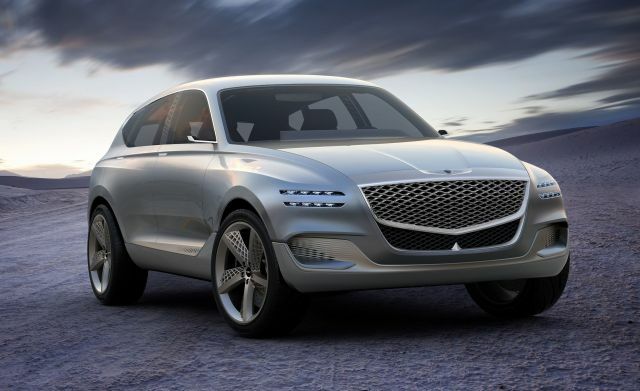 With the new GV80, Hyundai`s luxury Genesis brand will join the SUVs battle on the market. The concept model GV80 crossover shares most of its design cues with the G80 sedan. Moreover, the GV80 concept has been revealed for the first time to the public in 2017, and it took much attention. Furthermore, with a new attractive look and plenty of latest techs, the 2020 Genesis GV80 model is ready to compete against the Mercedes-Benz GLS and the BMW X7. The exterior design of the new 2020 Genesis GV80 SUV will be attractive and futuristic. If we compare the last year GV80 model that is caught testing with the camouflaged body, we can already identify some similarities with the concept that is revealed in late 2017. The mesh grille, LED headlights and the front of this SUV remains the same. Furthermore, the side sculpting will be changed and now comes has sharper lines. Dimensionally, the upcoming model GV80 will be placed between sedans G80 and G70. Some design cues are also borrowed from the G70 model that is the North American car of the year. 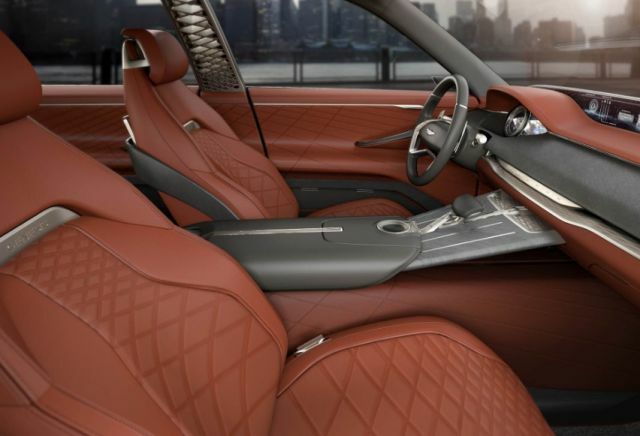 The interior of the newest 2020 Genesis GV80 is still a mystery. At this moment there is no available image on the final product. However, we have concept images, and from them, we can expect a very futuristic cabin. Also, from the images, we can clearly see almost the same interior as the sedan G70. The interior is stylish and modern and the futuristic dashboard sports a premium look with a big screen in the center of the dashboard. However, this is only the beginning of the list that is long. The comfort is also guaranteed. The digital instrument cluster and a multi-function steering are also part of this SUV. As we mentioned the comfort is great, the seats provide maximum comfort and seating position will be higher. The rear section will also come with plenty of legroom, headroom and spacious trunk. Under the hood of the forthcoming 2020 Genesis GV80 model will be lying a few powerful engines. The mid-size luxury crossover will be available with rear- or all-wheel drive. According to the latest information, the GV80 should mimic the current G80 lineup under the hood. So, we can expect the same, 3.8-liter V-6 that comes as the base one. However, more powerful twin-turbocharged 3.3-liter V-6 will be optional as the strongest 5.0-liter V-8. The exact output numbers at this moment have not available to the public, but we can expect more information soon. Also, from some gossip, this model will get a hybrid engine that will enhance fuel economy. From the latest report, the Genesis manufacturer will reveal the new GV80 sometime this year, but an exact date isn’t known. However, what we know is that this model will be offered as the 2020 model. The price is also still unknown, however, if we look at the models in the same class like the Mercedes-Benz GLS that starts at $71,000 and the Cadillac Escalade that is $73,000, the Genesis SUV may cost around $66,000 for the base model.